Holy yum this is good. Like chocolate and peanut butter, chips and salsa and tomato and basil, avocado and toast are one of those matches made in heaven. The crispy bread compliments the creamy, rich avocado so perfectly it's hard to think you could improve upon it. But I have. In a big way. You might call me avocado toast obsessed since I eat it for breakfast almost every day of the week and have been for a long time. Not only is it delicious, it's super satisfying, keeps me full and provides tons of vitamins, minerals and healthy fats. One morning, I started thinking about creative ways to take it to a new level. I'd seen other recipes online and on Instagram for avocado toast with arugula, chili peppers or pink salt and it all felt a little, well... basic. Avocado toast deserves better than that. And I've found the perfect combination of ingredients to raise that already high bar even higher. When it comes to avocado, you need salt, so we add dry-cured black Beldi olives, which are something wonderful all on their own but incredible in this dish. They might sound unfamiliar and difficult to find but they're not. Whole Foods has you covered at their olive bar. 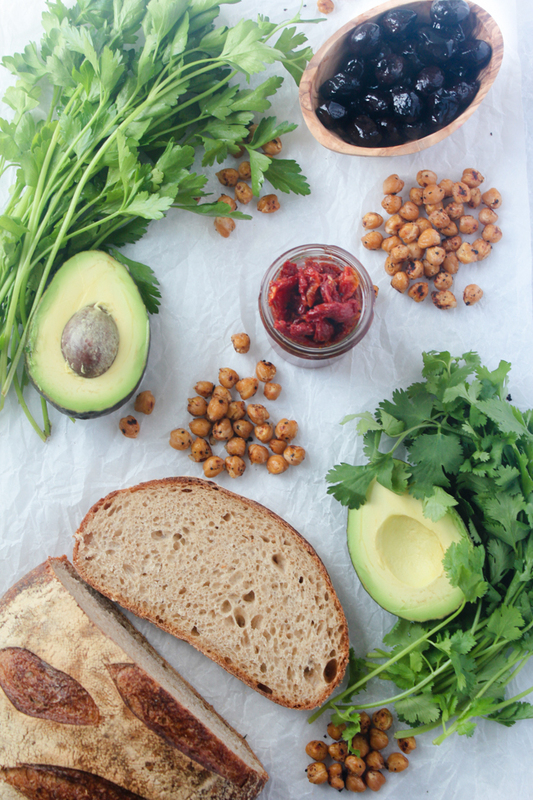 In addition to the olives, we add crunchy chickpeas, vibrant sun-dried tomatoes, fresh cilantro and parsley and finish it with a squeeze of lemon that adds brightness and brings it all together. When it comes to the chickpeas, you have a choice for how you want to prep them. If you have a bit of extra time and really want that crunch, roast them in the oven. If you want this avocado toast and you want it right now, sautée them in a frying pan. Another note: this is less of a recipe and more of a combination of components, so I'm not including measurements here. Honestly, who was going to break out their tablespoons and measuring cups anyway? This is toast! Not a three layer wedding cake. Just toss on as much of each ingredient as you want and I promise it's going to turn out amazing. - As I mentioned above, you have the choice of either roasting or sautéing the chickpeas. If you want to roast: preheat oven to 425 degrees. Line a baking sheet with aluminum foil and add chickpeas. Spray chickpeas with olive oil spray or lightly coat in olive oil. Sprinkle with garlic powder, salt and pepper. Roast for about 30 - 40 min, stirring halfway. - To sautée the chickpeas: spray a frying pan with olive oil spray or lightly coat in olive oil and add chickpeas. Sprinkle with garlic powder, salt and pepper and sauteé over medium-high heat for about 10 min, stirring occasionally so chickpeas have time to get crispy on the sides. 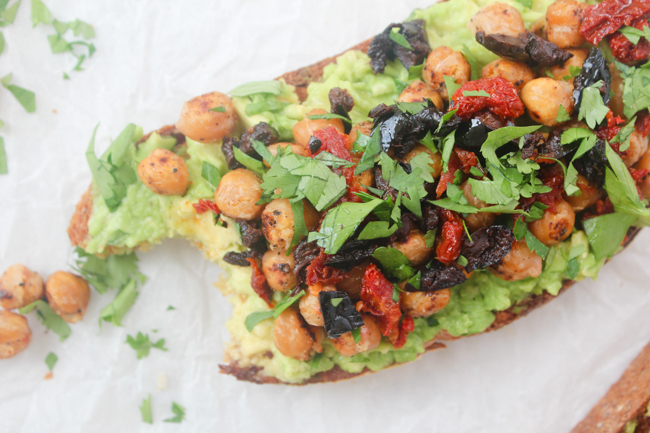 - Top toast with avocado, then chickpeas, olives, sun-dried tomatoes, cilantro, parsley and finish with a squeeze of lemon. It seriously is! I hope you give it a try! I'm always looking for new ways to eat avocados! This looks delicious!! I love that you added cilantro to this recipe!! Isn't cilantro and avocado just so delicious together? Love the combo. Thanks for visiting the blog! It looks so yummy! I want to try it out! Looks like absolute perfection and even just by looking at the bread, I can tell its crust has the best crisp but still moist on the inside. Yes! That is exactly it. It's an Acme loaf, which is a company local to San Francisco, but I got it at Whole Foods and they usually have great options no matter where you live. Thanks for stopping by! Umm, yum! These photos are everything and I'm just about drooling now! 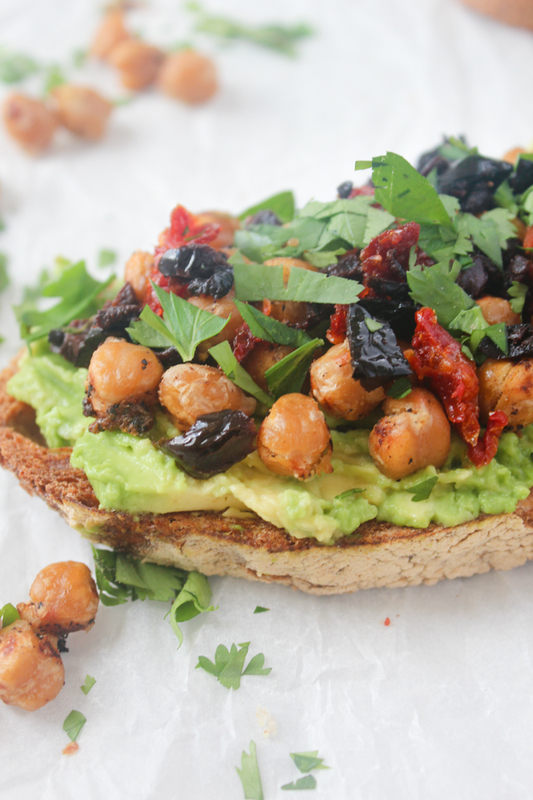 I love me some avo toast and you totally just took it to a whole new level! Thanks, Dana! 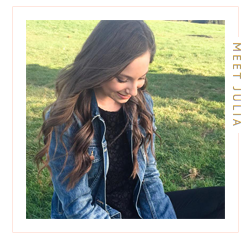 You are so sweet, literally just made my day :) This is definitely one of my favorite posts yet! OMG! This looks absolutely delicious! This looks absolutely DELICIOUS!! Yum. Thank you! It is seriously so good! another healthy looking recipe. def gotta try this one day. Thank you! It honestly tastes even better than it looks! Thanks, Courtney! I am all for a bit a protein with my avo toast as well. 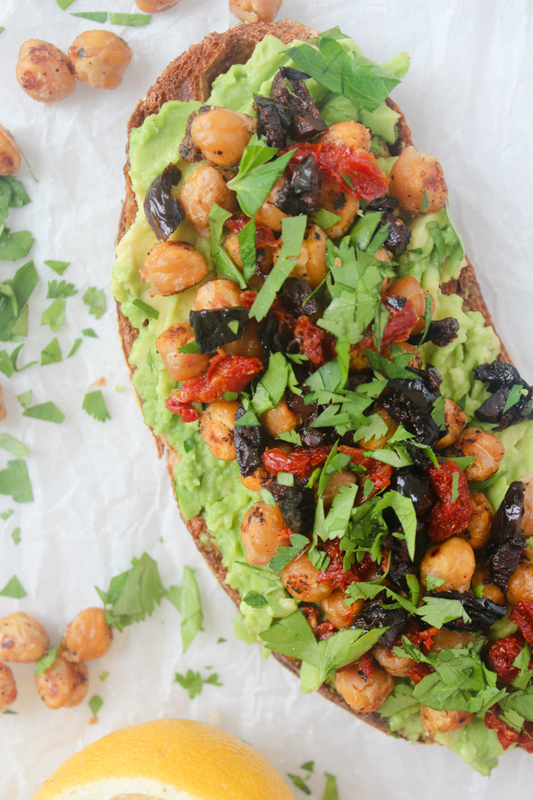 The olives add a lot of depth and the necessary salt that avo needs to really shine. Thanks so much for stopping by! I love avocado toast, but this is next level! Love the addition of olives! Can't wait to try it. Thanks for sharing. You're so sweet, thank you! 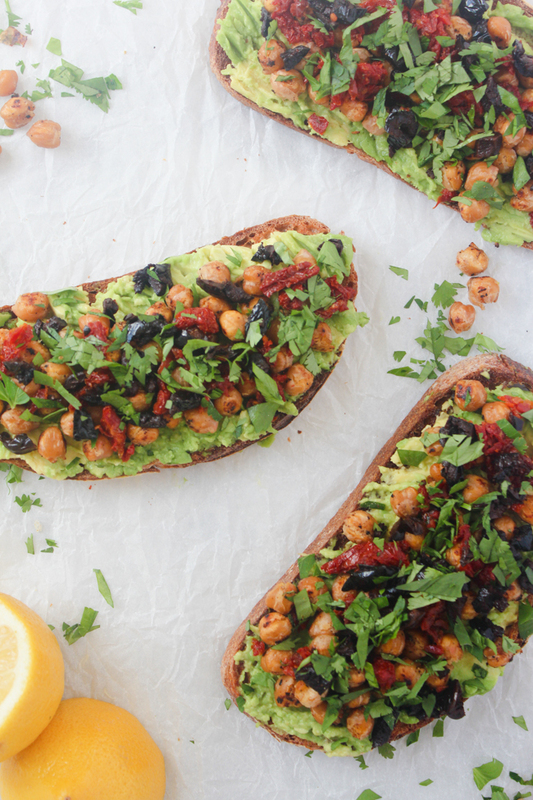 I'm also avocado toast obsessed and totally agree this is next level! Let me know if you give it a try and what you think! you know, i love avocado, but i haven't tried it on toast, even though i see it all the time! 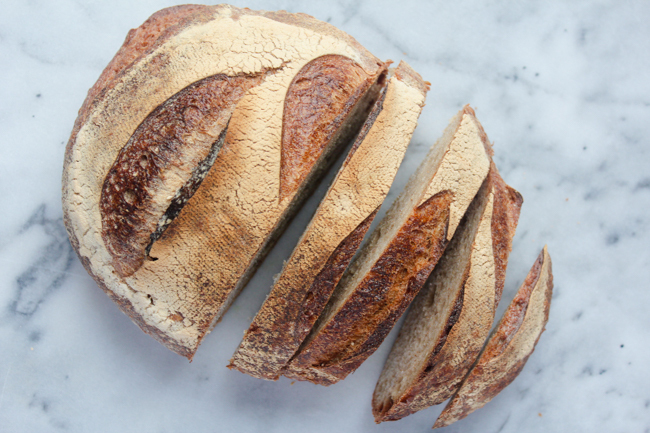 we just don't really ever have bread, but this rendition has me wanting to add some good bread to the grocery list! You've got to try it! Avo toast is one of the most amazing combinations. I totally get what you mean about not having bread in the house though, super tempting! I just took a look at your hiking pics by the way! Couldn't find where to comment but they are gorgeous. It looks like you all are on Mars or something! Haha thanks for stopping by! oh my goodness...I NEED TO MAKE THIS ASAP! Yes! Chickpeas are so yummy, healthy and very versatile. Glad you enjoyed this post!